A chronic wasting disease sample collected by Montana Fish, Wildlife and Parks in late October from a hunter-killed deer was found to be suspect for chronic wasting disease. The sample was collected from a mule deer buck harvested in hunting district 510 south of Billings. The animal was killed in an area with a mixture of private and public land 10 miles southeast of Bridger. A second sample collected from the animal is being sent to the lab at Colorado State University for further testing, with results expected next week. If the result is positive, it will mark the first time CWD has appeared in wild deer, elk or moose in Montana. FWP has notified the hunter who submitted the suspect sample and landowners in the area where the deer was harvested. Though typically it takes one sample test to determine whether an animal is positive for CWD, that wasn't the case here. Though the sample is considered suspect at this point, it is very rare that a suspect sample isn't ultimately found positive. Therefore, FWP is moving forward as if the deer will ultimately be determined positive for CWD. "We've suspected it wasn't a matter of if, but when CWD would show up in Montana," said Ken McDonald, FWP wildlife division administrator. "Fortunately, we've done a lot of work to prepare for this, and are hopeful the prevalence will be low as we work toward managing the disease." FWP has recently updated its CWD response plan, which was presented to the Fish and Wildlife Commission on Tuesday and is now open for public comment. In accordance with the response plan, FWP director Martha Williams assembled an incident command team to respond to the detection. The incident command team will define an initial response area (IRA) around where the infected animal was harvested, and may recommend a special CWD hunt. The specifics of this hunt would be determined by the incident command team. The goal of a special CWD hunt would be to collect enough samples to determine disease prevalence and distribution. CWD can only be effectively detected in samples from dead animals. FWP would rely on hunters to harvest enough animals to make these determinations. CWD is a progressive, fatal disease affecting the central nervous system of mule deer, white-tailed deer, elk and moose. It is part of a group of diseases called Transmissible Spongiform Encephalopathies (TSEs). TSEs are caused by infectious, mis-folded prion proteins, which cause normal prion proteins throughout a healthy animal's body to mis-fold, resulting in organ damage and eventual death. CWD is a slow-moving disease. However, left unmanaged, it could result in long-term population declines within affected herds. All the states and provinces that border Montana, other than Idaho and British Columbia, have found CWD in their wild cervids. The closest positive to Montana was in Wyoming, about 8 miles south of the Montana border and less than 50 miles southeast of where Montana's suspect deer was harvested. FWP is currently in year one of a revamped CWD surveillance program. Department staff are collecting CWD samples from hunters in this year's priority area of south central Montana. Most samples are collected from game check stations and cooperating meat processors and taxidermists. Hunters who submit a sample will receive a card with a sample number. That number can be checked online along with the list of results at fwp.mt.gov/CWD. 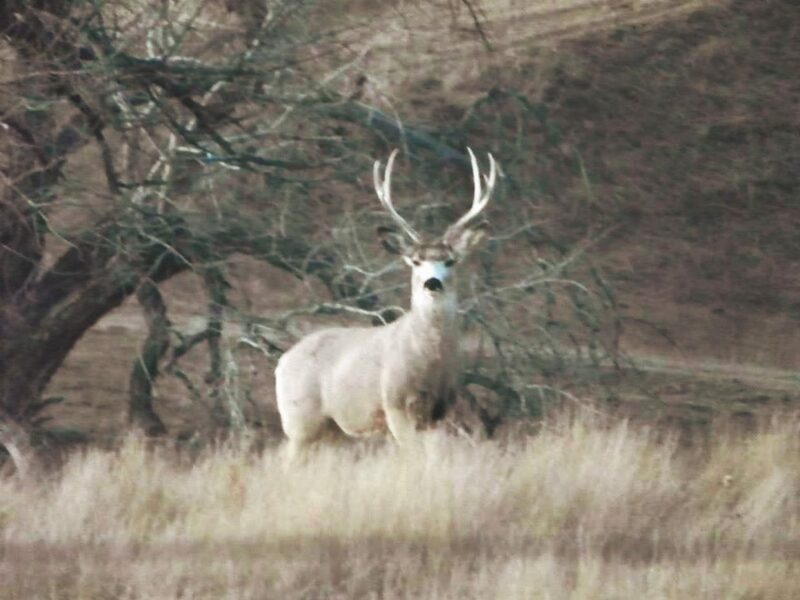 Should this suspect sample be determined to be positive, FWP will move quickly to communicate with local landowners, government agencies and the public about plans for a special hunt. The success of any CWD hunt will depend largely on the cooperation from everyone involved. In the meantime, FWP will be encouraging all hunters harvesting deer within that area (hunting districts 502 and 510) to get them sampled. This can be done by visiting the Laurel check station, which is open on weekends, or by contacting or visiting the FWP regional office in Billings at 406-247-2940. For more information and to look at test results, go online to fwp.mt.gov/CWD.